August is going to be darn peculiar because one of the most peculiar books to ever hit the bookstores is coming … and that’s peculiar. Learn more about the most peculiar family history ever written! 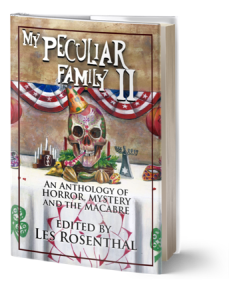 Want to #read the first story in My Peculiar Family IIby Bram Stoker Award winner @John Palisanofor FREE?